Demographic changes in the workforce, financial market turmoil, global competition, and regulatory changes consistently apply increasing, dramatic pressure to employers who provides benefits. Not only are these outside forces raising the costs associated with providing employee benefits, but complex, high-stakes ERISA and employee benefits litigation involving plans, fiduciaries, plan sponsors, and senior management is now the norm. Defending these cases effectively and efficiently requires a team of skilled litigators and trial attorneys with the substantive expertise of the nation’s top-tier Labor & Employment and Employee Benefits practices. 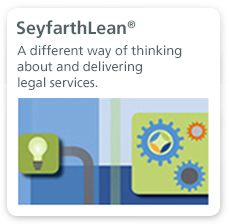 Seyfarth’s uniquely positioned ERISA & Employee Benefits Litigation Practice Group satisfies this need. 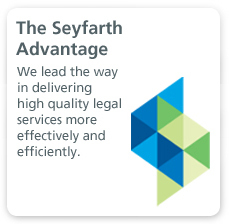 Seyfarth’s attorneys are thought leaders and subject matter experts in the field of ERISA & employee benefits litigation. Due to their close alignment with Seyfarth’s Employee Benefits Department the members of our ERISA & Employee Benefits Litigation Practice Group assist clients with matters from start to finish, routinely providing litigation-avoidance perspectives as well as aggressive litigation defense. This approach results in reduced exposure, enhanced compliance and, if necessary, stronger litigation positions for our clients. 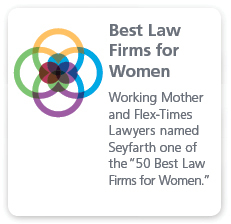 Seyfarth’s ERISA & Employee Benefits Litigation Practice Group represents many of the largest employers in the United States in complex, high-exposure matters. The team handles a broad range of ERISA class actions, including “stock drop,” “401(k) fees,” cash balance and other pension plan design cases, and retiree medical and other welfare benefits litigation. The group also has developed an expertise in challenging withdrawal liability assessments under Title IV of ERISA. Additionally, we regularly handle ERISA single-plaintiff cases, often utilizing a flat-fee pricing model based upon our broad experience in order to provide clients with budget predictability.